« Can You Help Me Pay My Rent? 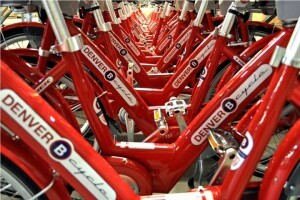 Join us tomorrow, Earth Day, April 22nd 2010 for the B-Cycle Launch at Civic Center Park at 9am. Kazoo’s, Flobot appearances, Brass Quintet, Bike Parade! See B-Cycle for more details! Thank heavens for Travis Dickerson, Lindy Dickerson and John Bright. Travis produced the song and played various instruments, John produced the vocals and Lindy played guitar! This entry was posted in BEST OF BlogInSong.com, Cimate Change, Colorado, Current Affairs, GLBTQ ETC...., Music and tagged b bike, b-cycle, bcycle, bike sharing, Camille Bright-Smith, denver, denver bike sharing, flobots, hickenlooper, johnny 5, mayor hickenlooper, mca, museum of contemporary art, the fray. Bookmark the permalink. Both comments and trackbacks are currently closed. I’ve been humming this since I first heard it! Now, if only I had a first date, we could ride, ride, ride, faster than you can drive! keep it up!